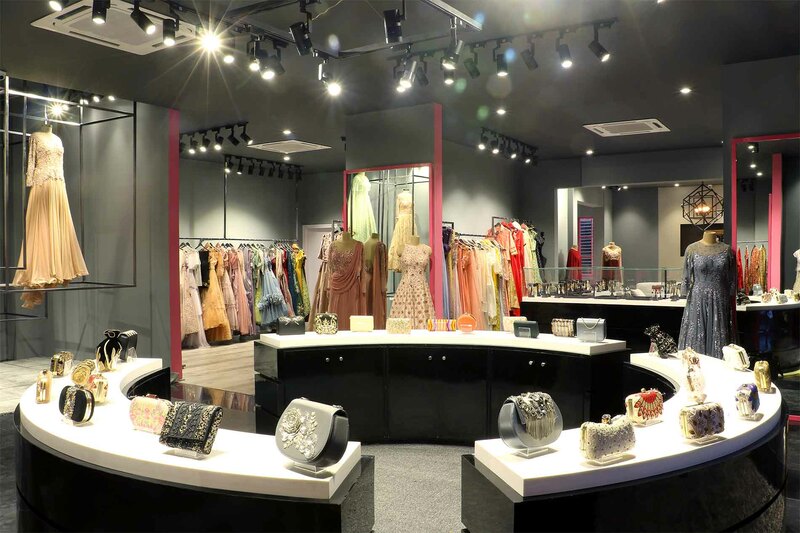 In addition to the five shops which have opened up across the metros of Delhi and Mumbai in the last four months, Pernia Qureshi adds another store to her chain of multi-designer boutiques in Mumbai, Kala Ghoda. With over 60 labels stocked within three floors, this store is designed elegantly. Between couture and prét styles, customers have a large but meticulously curated variety of traditional and contemporary womenswear — such as gowns, lehengas and anarkalis —from labels like House of Kotwara, Shivan & Narresh, Masaba, Namrata Joshipura, Babita Malkani, Rocky Star, Sonaakshi Raaj, Siddharth Tytler, Ridhi Mehra, Papa Don’t Preach and more, along with glittering accessories from Outhouse, Flowerchild by Shaheen Abbas, Aster and Qira to accent your ensembles. 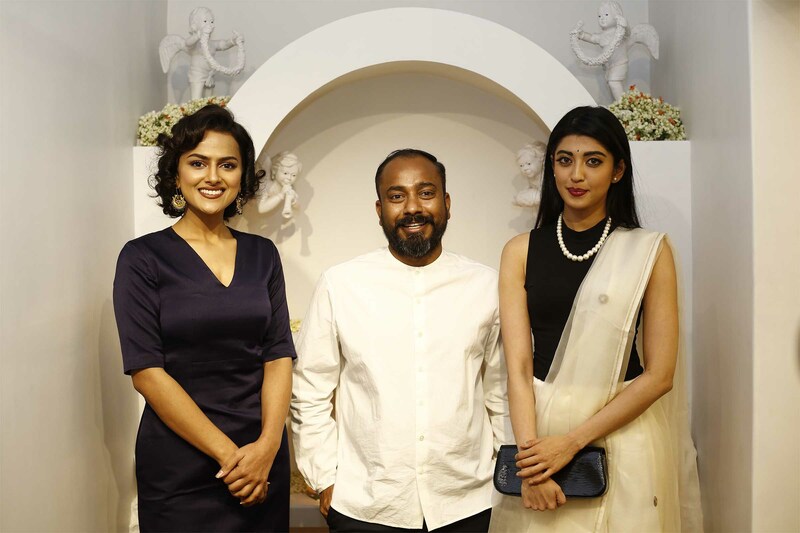 Since founding the textile label in 2008, Sanjay Garg has opened his third stand-alone flagship store on Bengaluru’s Walton Road after those in Delhi and Mumbai. 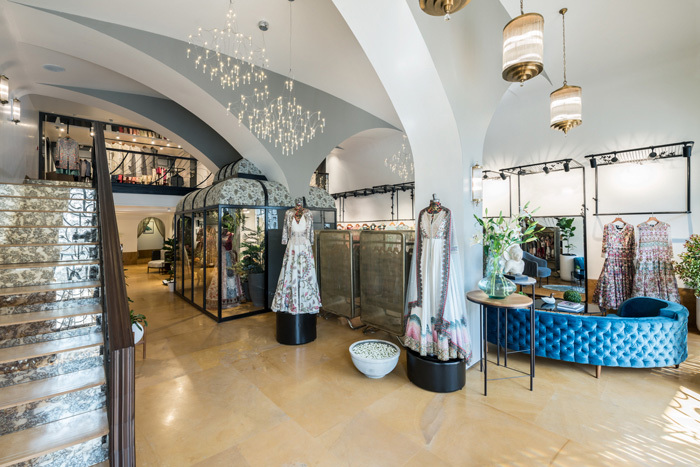 The shop is located in a quaint, old bungalow that’s been refurbished with the expertise of Adityan Melekalam of Squadron 14, collaborating with Sandeep Khosla Design Studio. Large windows let the space — replete with artwork and antiques — bask in the glow of natural light, as red oxide-flooring and design elements reflect the classic styles of South Indian temples. All of it perfectly reflects the ethos of India’s magnificent textile history and craft consisting of rich motifs and colours, that Garg so effortlessly puts in today’s contemporary and modern narratives which we’ve all come to appreciate. 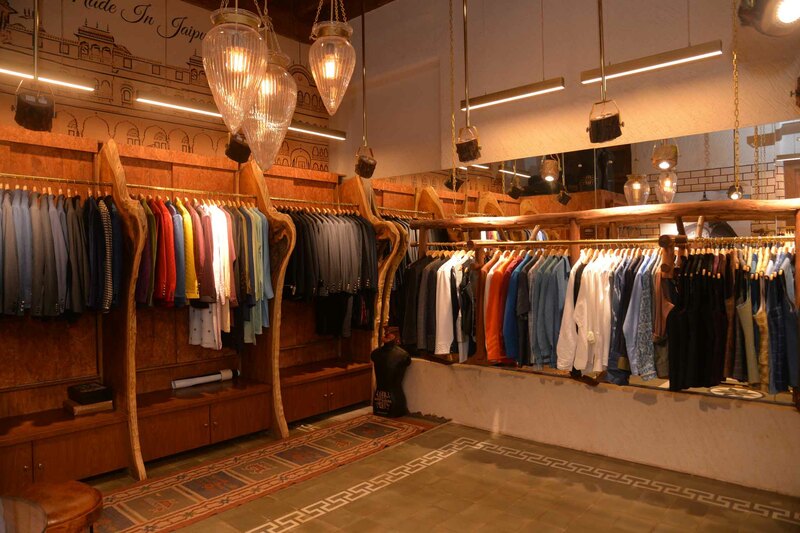 A stone’s throw away from Mumbai’s iconic Taj Mahal Palace Hotel at Roosevelt House, Rohit Kamra’s third flagship store — after Pune and his hometown, Jaipur — is nestled away in one of old Mumbai’s heritage buildings. 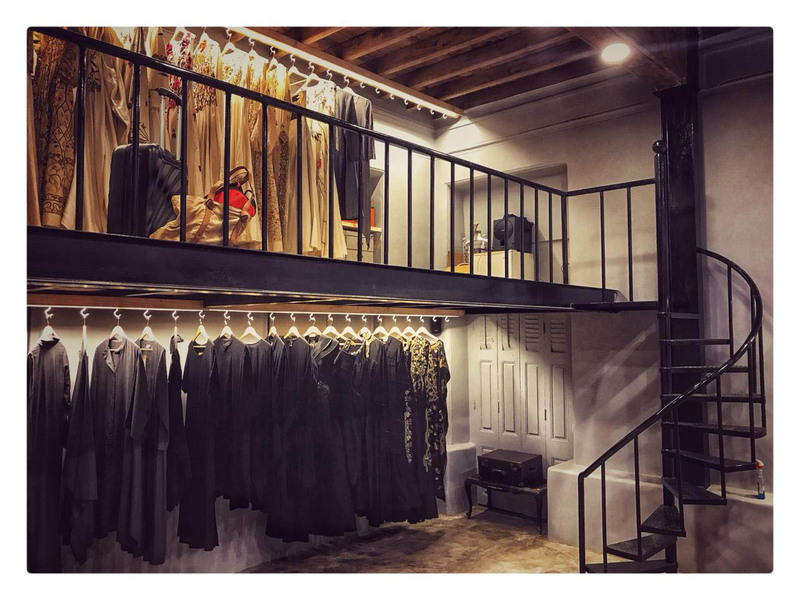 There’s been an active effort from Kamra in moving away from traditional luxury materials in order to be more sustainable; interiors in reclaimed timber adorn the insides, playing the frame to an eclectic chandelier and a diverse style of menswear clothes. Since 2007, Kamra has been known for reinventing Indian royalty’s classic tailoring & signature silhouettes, such as those of the Jodhpuri Bandhgalas and breeches, with colonial inspiration borrowed from the Victorian and Tudor eras, even incorporating techniques of ombré, lehariya, marble print and more. And don’t worry if ab outfit you fancy doesn’t fit instantly; the store offers bespoke services with a range of shirts, half jackets, breeches and bandhgalas. Adjacent to the Taj Mahal Palace Hotel and a neighbour to Rohit Kamra’s store is Samant Chauhan’s. Also located at Roosevelt House, the store is designed to merge into the old-world surroundings of the area and capture a semi-rustic ambience. Chauhan is known for his fascination with his native handwoven Bhagalpuri silk, as he incorporates it in modern silhouettes such as those of gowns and indo-western outfits, highlighting its fine craftsmanship in novel ways. Along with a new store also comes Chauhan’s new semi-couture range collection, ‘Do Not Allow Me To Forget You’, paying homage to the city. Lightweight open jackets and pants, gowns, organza silk kaftans and period dresses are a few garments that evoke the essence of Mumbai in its sublime, sunset-by-the-sea hues; a first for the label. Another third gem in his jewellery box, Varun Bahl launched his first flagship store in Mumbai’s Kala Ghoda, after two of them in Delhi. The interiors have been set up to be a transformative space, with minimal displays surrounding a conservatory, with décor that’s elegant and timeless. Bahl’s intricate yet opulent embroideries have always lent Indian traditional-wear and couture, a luxe vibe that’s been out-of-the-box. His eternal inspiration has an intrinsic Art Nouveau aesthetic that lends itself beautifully to modern weddings.